Murder in Coweta County received the coveted Edgar Allen Poe Special Award as an outstanding fact-crime study by the Mystery Writers of America and has been used in sociology and criminal law courses at schools and universities throughout the United States. 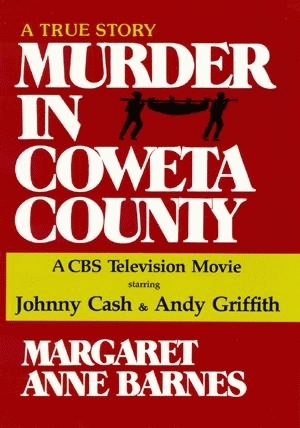 Filmed as a CBS television movie starring Johnny Cash and Andy Griffith in 1983, the story gained even more acclaim and is still available on video and DVD. This book is a detailed and chillingly realistic reconstruction of the brutal murder of tenant farmer Wilson Turner that took place in rural Georgia in 1948 and the brilliant investigation that eventually brought the murderer—a powerful county “lord”—to justice with a conviction that set legal precedents. When that county “lord,” John Wallace, crushed Turner’s skull with a sawed-off shotgun, he did not even give a passing thought to being persecuted by the police in his “feudal kingdom” of Meriwether County. However, Wallace had unknowingly crossed the county line into Coweta County, which was under the jurisdiction of the tenacious Sheriff Lamar Potts. Sheriff Potts emerges from the incident as a classic American lawman—honest and unintimidated, a man of action and integrity determined to see justice done. Margaret Anne Barnes, author and journalist, was a native of Coweta County and lived in Decatur, Georgia, before her death in 2007. In addition to receiving the Edgar Allan Poe Special Award for Murder in Coweta County, she was named Georgia Author of the Year for her second book, A Buzzard Is My Best Friend.